I'm a huge fan of "turkey trots" because it's a great way to build up an appetite for Thanksgiving dinner. Plus, you get to see your neighbors and be part of a local, community event. This race is no different. I chose this race because it's in my town and it offers a 10K distance (as well as a 5K and kid's fun run) which seems relatively rare for turkey trots in the area. 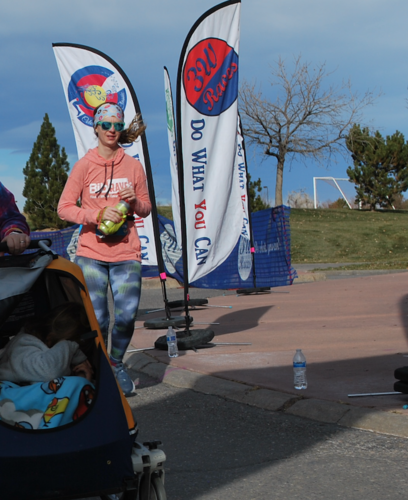 The course was 2 loops around the Broomfield Commons Park which offered gorgeous views of the snowy mountains. Although the course wasn't flat, it still felt like a good combination of rolling hills which I enjoyed. As for the swag, this race offered winter beanie hats in lieu of a race shirt which I must say was a welcome change. The hat is awesome and made well, and I have already worn in twice since the race. Overall I will definitely be doing this race next Thanksgiving and would highly recommend it to anyone! "The BEST Medal and Swag"
Since most of my races are usually in the middle of no where (or at least they feel that way) it was really cool to run through Denver. The aid stations were well stocked, and the traffic control was on point. The weather was chilly, which added to the experience of wanting a piping hot cup of hot chocolate. Ooh wee there was a lot of people at the after event! The finish line/post-race party was at Civic Center Park, which provided a gorgeous background of the Capitol building to each photo. There were plenty of photo opps available with inflatable Hot Chocolate themed props. Plus, you got a cool finisher’s mug filled with hot chocolate and other chocolate goodies. This was a big race through downtown Denver. Everything was spot on and professional. I have to say that the medal and hoodie that came were the best I’ve seen so far. The quality is absolutely stunning. Overall the race was a ton of fun and it was great to be part of a positive and excited crowd of runners. Note: I gave parking 1 star because it was nearly impossible, but that's also part of running in a city. "Challenging and Beautiful Race Up A Mountain! " Packet pick-up was at the course, but they also offered free same day pick-up which is nice since Copper Mountain is a drive for many people. On race day, the expo was open very early (starting at 5:30). Since this event took place at the ski resort, Starbucks was open which was a nice treat, but UA also put out free food and refreshments. It’s technically the off-season at Copper, so the base of the mountain was dedicated to the race expo which made it exciting and easy to navigate through. Another highlight was the free bag check, which I always appreciate since I start the early morning bundled up with layers that I don’t want to carry or dispose of on the run. 2 words: elevation and altitude. 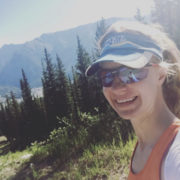 This race is no joke as you are literally climbing up a ski mountain for the first 3 miles. I’m lucky that I only live less than 2 hours from Copper, so the thin air did not effect me as much as I thought it would. But I passed many many people who were having difficulty getting enough oxygen on the climb. This race is not impossible and shouldn’t be avoided because of the altitude, but it is definitely something to keep in mind. The good news is that all of that climbing led to an absolutely gorgeous view especially with the summer wildflowers blooming. Plus, after mile 3, it was (mostly) downhill! I say mostly because there was a steep hill around mile 5.5 that was about 0.25 miles. It did, however, lead to an aid station that was stocked with Honey Stinger. 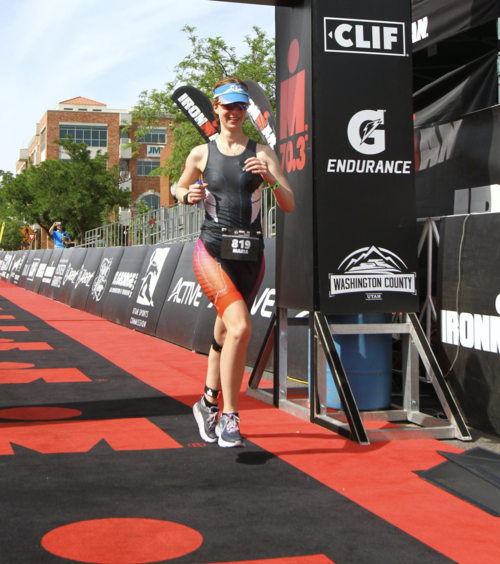 The post-race was a fun time as all of the athletes really took advantage of the expo. They had a LARGE recovery zone with foam rollers and NormaTec boots. You also got a complimentary beer from 10 Barrell Brewing. I don’t drink so I didn’t take advantage of that, but I did have a free kombucha that was absolutely delicious! This was an UnderArmour event, so I was expecting everything to be first-class, and it did not disappoint. The swag and expo were high quality, but the course was the star of the show. This is an event that offers a course for everyone (5K-50K). I will definitely be running this course next year and will tackle the 25K. Overall, this course was not just a race, but an experience. "Beautiful Run Through Colorado's Open Spaces"
The Arctic Prairie Dog Half Marathon begins at Coal Creek Golf Course. Although parking in the gold course lot becomes full almost immediately, there is plenty of safe parking in the neighborhood. Race instructions were clear and there were plenty of bathrooms available. The race was mostly flat with some small hills, and varied between road and packed gravel surfaces. Most of the race is run throughout the open space areas in Louisville which provide beautiful views of the Rocky Mountains and surrounding areas. Volunteers were excellent with aid stations and controlling traffic during a few crosswalks you had to run through. After the race, there was a small expo and awards ceremony. I ran slowly thanks to a pulled IT Band around mile 8, so by the time I finished, many of the festivities had already taken place. The race medal and pint glass were very well designed and I personally love that their Mascot is Peedy the Prairie Dog. Anyone who runs through these areas of Colorado is very familiar with the adorable prairie dogs that line the trails. Overall, this was a well-organized, and beautiful race through Louisville. My only suggestion would be to have a larger expo at the end; however, this is not necessary for an enjoyable race. 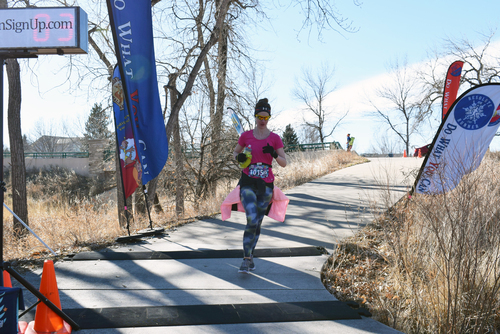 The Equinox Half Marathon is a fast, downhill race that runs you through the Poudre Canyon near Fort Collins, Colorado. Overall, I was extremely happy with this race. First, there is a shuttle bus service that is required in order to reach the starting area at the top of the canyon. Shuttles ran from 5am-5:30am (eesh, early) from a central area in Fort Collins. Despite being in a somewhat secluded area, the start area included water stations, coffee, tea, and plenty of bathroom facilities. During the race, the aid stations were well-stocked with water and Nuun hydration drinks as well as Honey Stinger gels upon request. Having the gel at the last aid station was a near miracle for me as it really got me through the last few miles. I also am impressed at a race offering gels, so that’s also a bonus. After the race, there was a live band and a fully-stocked food and beverage section to start the recovery process. 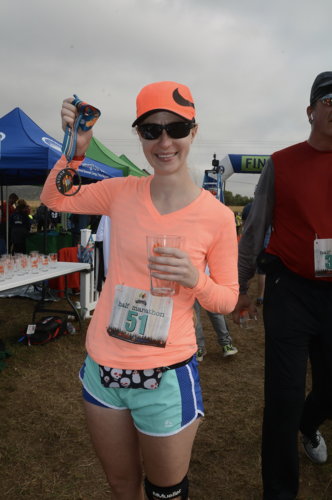 Each runner also got a free beer from a local craft brewing company. The medals and commemorative pint glasses are great as well as the long sleeve technical shirt. You can really tell that a lot of good design work and quality products were utilized. My only suggestion would be to increase some of the vendors, if possible, in the finishing area as I would have liked to browse more running-related tents after the race. Although there was a foam rolling station which was such a relief after running 13 miles.